I recently had the pleasure of catching up with Greg White, a Durata athlete who currently lives in Denver, Colorado. Ironically Greg and I both grew up in Indiana, so of course this was how I wanted to kick things off; knowing a bit more about his upbringing in the “Crossroads of America”. 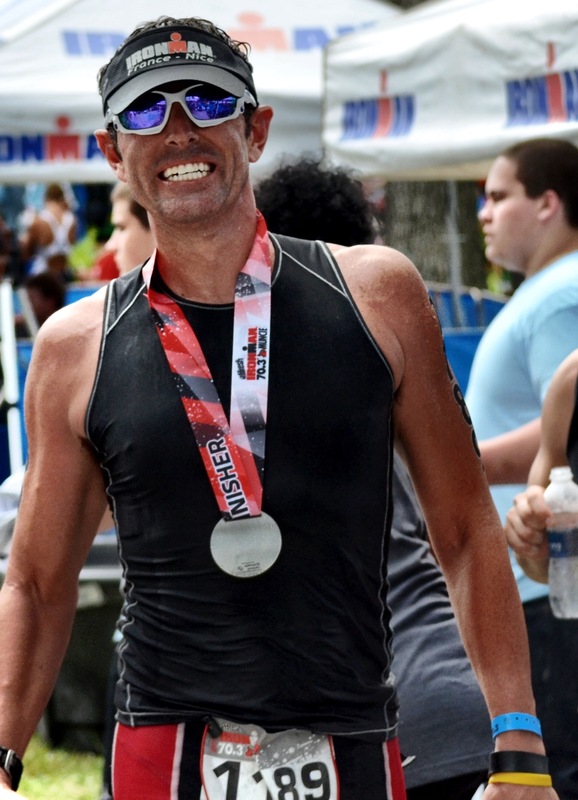 In addition to being a fellow Hoosier, Greg is a pretty accomplished athlete with some big goals and clearly does triathlon for love of the sport and lifestyle, and he is currently working with coach Chad Holderbaum. Kelly: So you’re from Indiana! As am I. Tell me a bit about where you grew up, your involvement with sport, etc. Greg: I went to North Central but spent most of my life in Carmel, as I played travel hockey growing up and the ‘base camp’ so to speak of all hockey was the Carmel Ice Skadium. To this day, my family lives in Westfield and Carmel areas. I pretty much played all sports growing up but I started hockey at age 4 and continued this through college. It was always the heart and priority of all other sports. As I grew up and sports got more specific, it was hockey from September-March then right into tennis from April-August; so these two were my main focus’. Kelly: And I know you now live in Denver. What moved you out west? Greg: I traveled out west a lot over the years, mountain biking and skiing and I always just felt more at home out here than in the Midwest. I wanted a major lifestyle change and I wanted to be able to enjoy the winter more than the boring Midwest winters. I always wanted to be a ski pro so living out here allowed me to follow that dream. I currently work at Breckenridge every weekend in the winter. I love skiing and it keeps me active and outside all winter long. My dad died way too young and when he died, I said to myself, life is too short to wait for the perfect time. I moved shortly thereafter to change up my lifestyle (moving to Boulder). I was fortunate that the company I worked for let me essentially keep my same job but I took over the Colorado territory rather than Indiana territory, so the stars aligned. 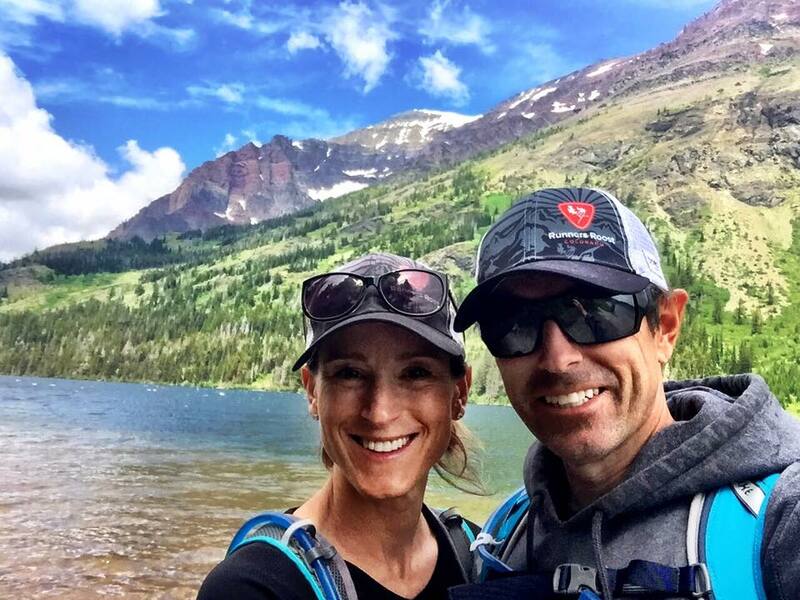 I have been blessed to balance a career and working at Breck and compete in triathlon. Kelly: I can relate to the pull out west; though heading back home in recent years, I now see a bit more beauty in where we both grew up than I did when young. Tell me about your past few years in triathlon. Highlights? Any major setbacks/obstacles? Greg: Highlights would be mostly travelling to places I’ve never been and probably wouldn’t have gone if not for Ironman. My first triathlon ever in 2011 was Ironman Nice in France. I stayed afterwards and traveled which was awesome. My first time to Europe all bundled up with a foreign Ironman race was a lot in my first go! 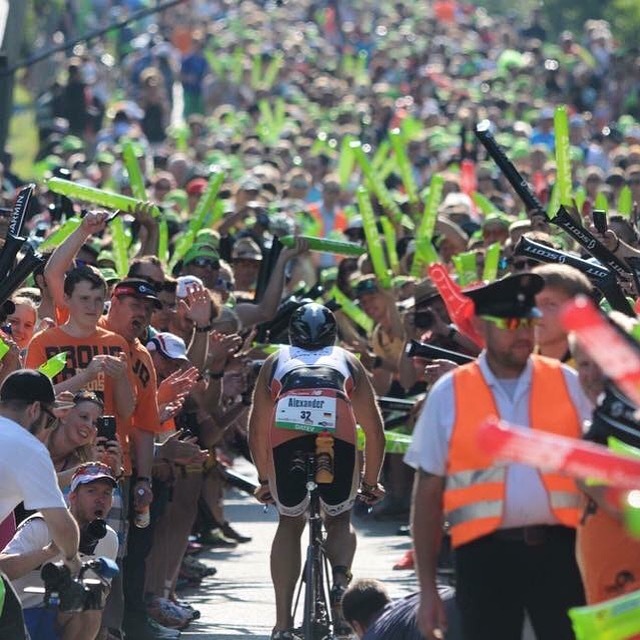 Since then another huge highlight was Challenge Roth in Germany. The overall race experience, venue and crowd support was incredible. It is truly the most epic race I think one can compete in. You have to experience it to understand it. Other highlights include racing with friends at the same events where we all travel and stay together. 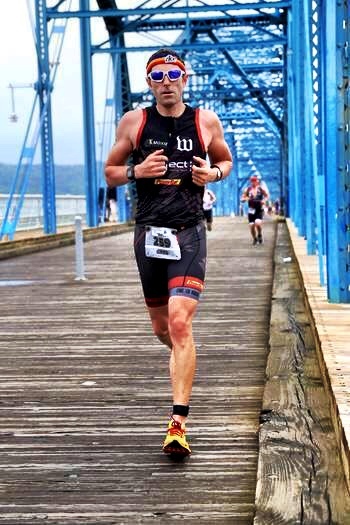 Having my main training partners both male and female all compete in Chattanooga Worlds last fall was awesome, especially with the format of women on Saturday and men on Sunday. The shared support and experience all together made for a really fun weekend. This sport can be lonely at times, so being able to share in the training and being there supporting the highs and lows on race day is something I appreciate and makes the experience mean so much more to me. I love seeing others succeed as we all chase that great race day we all want to achieve. I have been fortunate to be essentially injury free over the years. A few dings here and there but I have been fortunate to stay healthy. Obstacles at times are the struggles we all have and go through. When things aren’t clicking or when you just don’t have great weeks and feel fatigued then it gets mental at times. We all go through it and it is part of the journey and why I like the sport as it is a continual search for those good days and consistent improvement. Kelly: That is great- clearly it is about more than just ‘racing’ to you. So a bit cliche but I love to know this from others, as it says a lot about a person. What drives you? What do you really love about this sport and sport in general? Greg: The commitment, the structure, always having a daily goal and the challenge of staying disciplined. Just having the courage to put in the time to get to the start line to compete is a win. Everyone races for different reasons and everyone has different goals but just having the courage to take on the challenge is pretty cool for anyone. I certainly love the “event and the race” and being in the mix during the day. I like understanding the “why” we are doing this block of training and how it fits into the big picture. This may sound bad but at the same time I also like seeing that others struggle as well at times. It is a long grind training day in and day out and at times it is not pretty. I like hearing the stories of overcoming and the struggles people have. I like knowing it is just not me that goes through tough stretches at times. We are all in the same boat and on the surface of social media, everything looks perfect and great all the time. Knowing that this isn’t easy for anyone keeps it real when you hear about the ups and downs of this sport. It makes the successes that much more sweet knowing what people go through each day to have that great day they envision in their head the whole year long. Ultimately what drives me is the belief that I still haven’t had “that special day” in a full Ironman that all systems are a go and all the stars are aligned and what you know you can do in training decides to show up in all 3 disciplines on race day and you get to the finish knowing that today was your very best you could be and are proud of that outcome. I also love sharing success with others who you know are committed every day to getting better and seeing those people have the days they imagine in their heads and the emotions that follow those accomplishments. Kelly: If you care to share (I’m fairly private with this stuff) but goals – 2018, beyond? Anything you’re really aiming for? Greg: Ultimately my goals can be broken down into 2 categories. 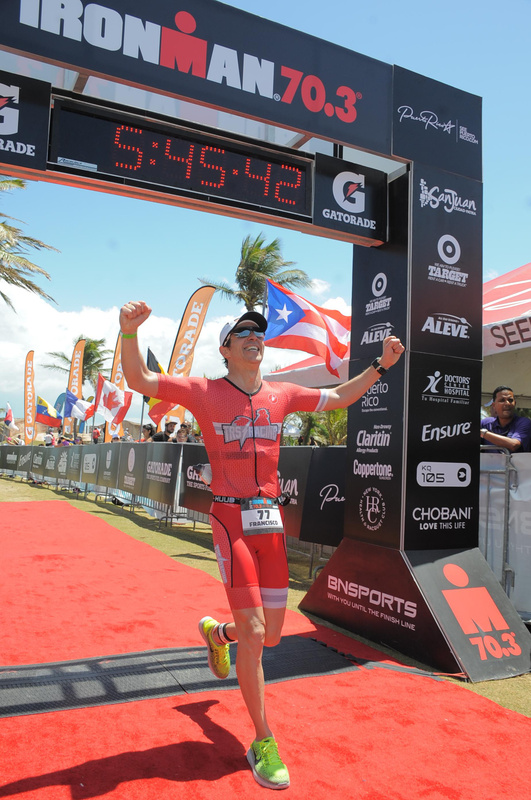 First, I want to always be in and around podium finishes. 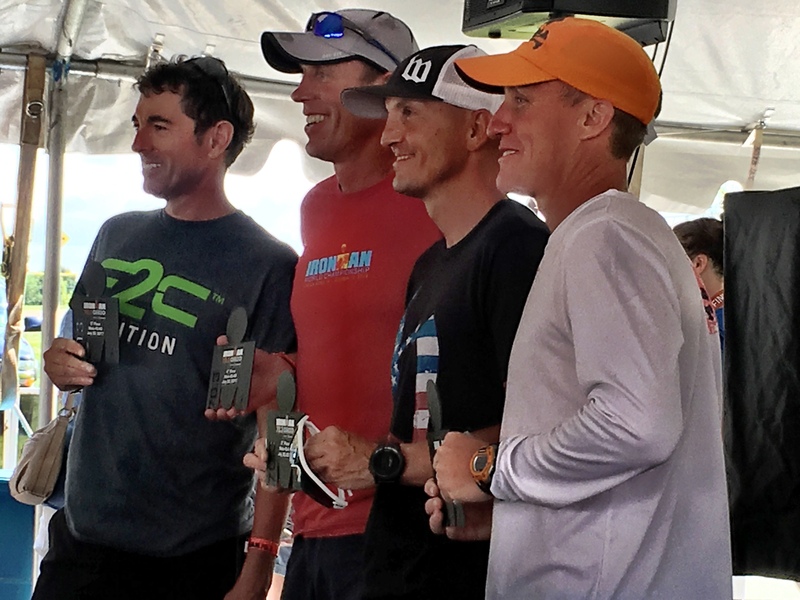 It keeps the race day more interesting when you know you are in the mix of the top in your age group on race day. I want to be able to feel that I can continue to improve and get better each year in each discipline and stay competitive with the top guys in my AG. Secondly, I can’t say that I wake up and think about Kona every day. It is not something that I feel like I have to accomplish. It would be cool and I would be honored to legitimately earn my spot. That being said I feel more importantly, I haven’t had the best full ironman day that I am capable of having. I have had top 10’s and good days but I want that GREAT day. If I go out and have that perfect day and have nothing left at the end and it is truly my best day ever and I finish 12th and never get to Kona, then so be it. It’s a crap shoot these days and you can’t control who shows up. You can only control what you can control. I would be so happy knowing “that day” I have been chasing came to fruition regardless of place. Other than full ironman, I would like to continue to be able to race Worlds 70.3 if race destinations are cool places I want to travel to and can share those experiences with Margie or my training friends. Going back to Nice in 2019 for worlds 70.3 is on my mind for sure. (Note: Margie is Greg’s soon to be wife. Another reason he loves sport and another important piece of “his story” is that they met at the start of Boulder 70.3 in 2015. They met in person a few months later, she eventually moved to Colorado from Vegas and they’re getting married in June. Another piece that is important to Greg, is having a partner who is into the sport, understands and is supportive and has also had success’ along the way). Kelly: And I have to ask, because I know you’re also a fellow beer drinker. Favorite beer? Do you follow any specific diet? Greg: I really don’t drink beer that much. Ha.. I really don’t drink that much at all except wine at dinner at times. (Kelly – not sure where I got this idea that you did! My bad!) Favorite beer maybe 90 Schilling. No specific diet. When I’m in the heart of Ironman training I pretty much eat whatever I want but as I get older I try to eat a bit more in moderation or portion control but I always seem to be eating. I try to generally eat healthier by sticking to lean meats, fish and veggies but I’m certainly known to eat an entire family size box of mac n cheese after a long ride. I try not to deprive myself of such delights. Kelly: Good for you. Anything else you care to add? Greg: I have only had 2 coaches in this sport, Chad Holderbaum and Steve Johnson. Over the last 7 years they both have kept me challenged and laid the ground work for me to grow and have some success. Margie and my friends who I train with are very important to me as they all keep me motivated and accountable and I wouldn’t enjoy this journey as much if I wasn’t sharing it with them all along the way. All their successes keep me on my toes and hungry for more each day and they are also a great support crew when things get tough along the way. That is one thing I really like about the sport is I am not in it alone during the good times and the challenging times and that means a lot to me. Kelly: Thanks Greg for your time, and best of luck to you in 2018 and beyond.